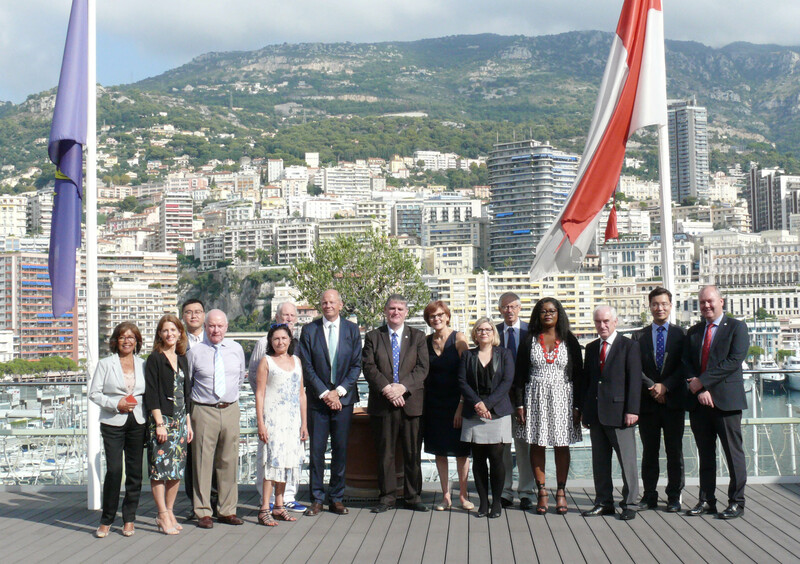 The annual IALA Day this year took place at the headquarters of the International Hydrographic Organization (IHO) in Monaco. The IHO Secretary-General, Dr Mathias Jonas, warmly welcomed the entire IALA home team including the World-Wide Academy Dean and staff on 6 September. He referred to the IHO and IALA being natural allies, praising their complementary technical work for the benefit of the world maritime community. His comments were wholeheartedly reciprocated by IALA Secretary-General Francis Zachariae, who presented the IALA crystal crest. The event takes the form of a workshop. It provides a welcome opportunity for the IALA Secretariat and Academy staff to take a little time out from the day-to-day tasks to discuss matters of particular importance to the Association and to exchange views and provide comments and suggestions on ways ahead. The initiative also gives the whole team a chance to be together. The theme of this year’s IALA Day was communications, which was discussed in small groups who then reported their suggestions to the entire group for further discussion. The results will form the basis of a communications policy document to be developed for submission to the IALA Council at its next session in December.